It's been a pretty slow summer for new, but I have a few items built up I should probably get around to sharing. First up , the famous Rochelle diamonds in Illinois seem to have entered some sort of Schrodinger's Box because they are both re-signaled and not-resignaled. 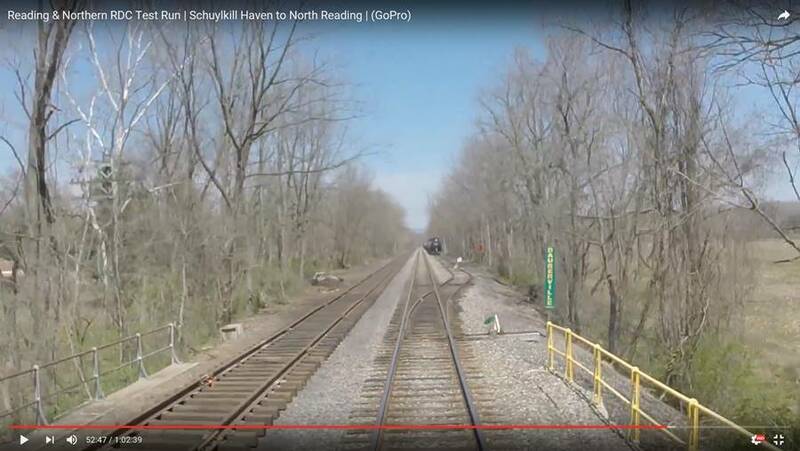 This is because the former CBQ searchlights on the BNSF line have been replaced while the former CNW signals on the UP line continue to hold on. If you remember my early 2016 news reports from upstate New York, the Albany-Rensselaer terminal had been partly re-signaled. Well the new CP-143 has been cut over and work has moved on to CP-145. Not sure when LAB tower will close. New CP-145 with double slips and LED searchlights. New signal masts going up at CP-145. 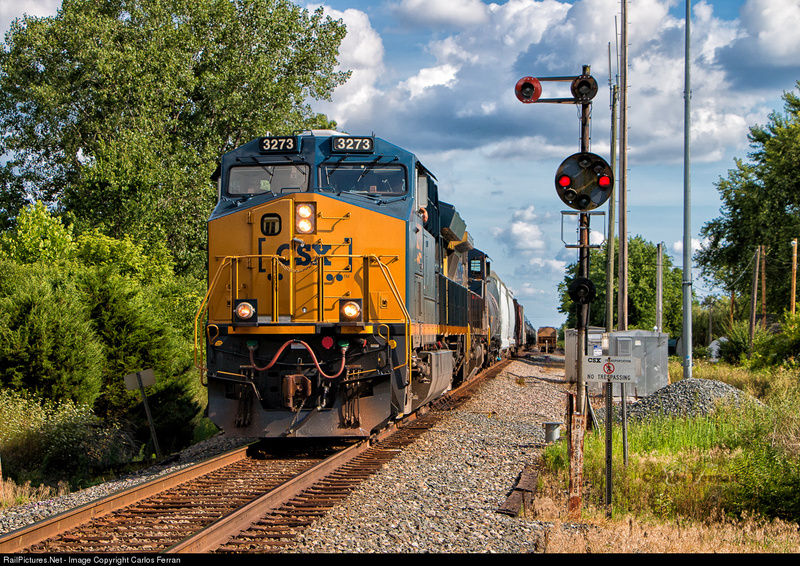 We are also starting to see more and more B&O CPL signal replacements on the previously immune CSX Toledo Sub, so again, try to get out there and take some photos. In related news, thanks to a crash in traffic resulting in partial abandonment, some of the Indiana Sub B&O CPLs might survive a bit longer. 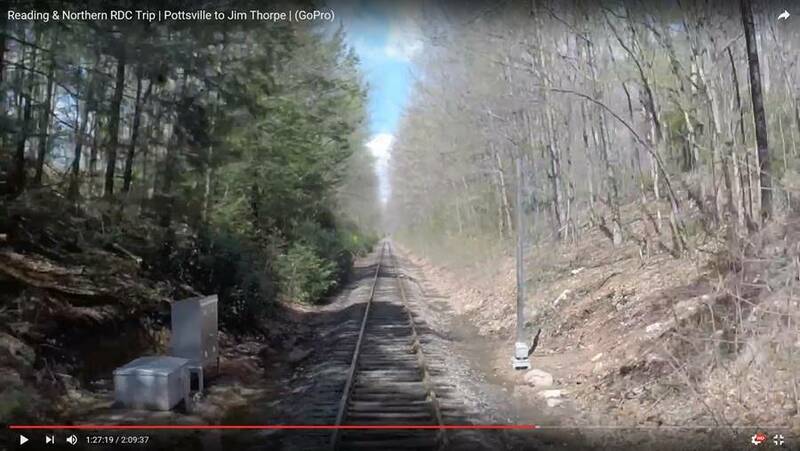 Down south the re-signaling is also progressing in Seaboard land as seen in Douglassville, FL where a restricted speed siding looks to be getting full signaling protection, albeit still over a slow speed turnout. 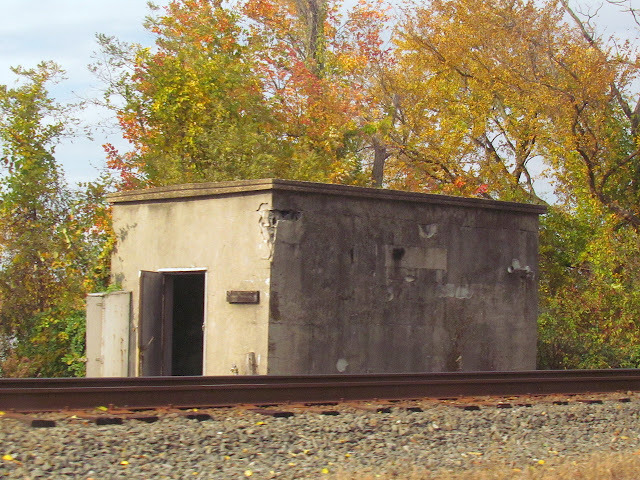 Via Google Earth I just learned that the surviving PRR CTC huts on the Enola Branch have finally all been demolished by NS. These include the structures at the former CP-PORT, CP-MANOR and current CP-LAKE. 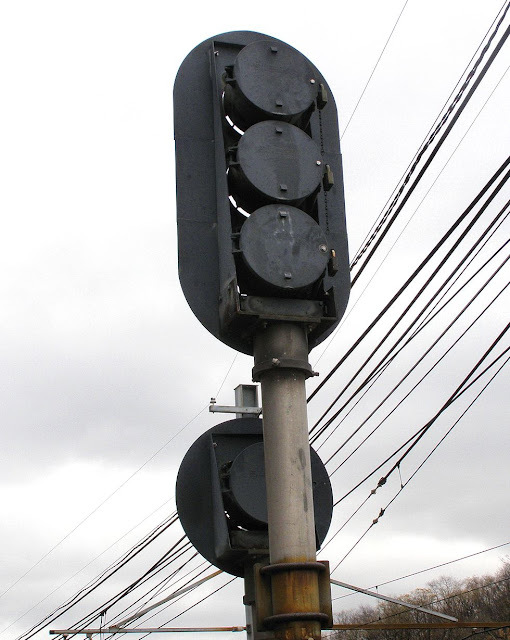 One can also see the new signals at WAGO. Finally, the spectre of re-signaling doesn't just apply to the wayside equipment and dispatching offices. 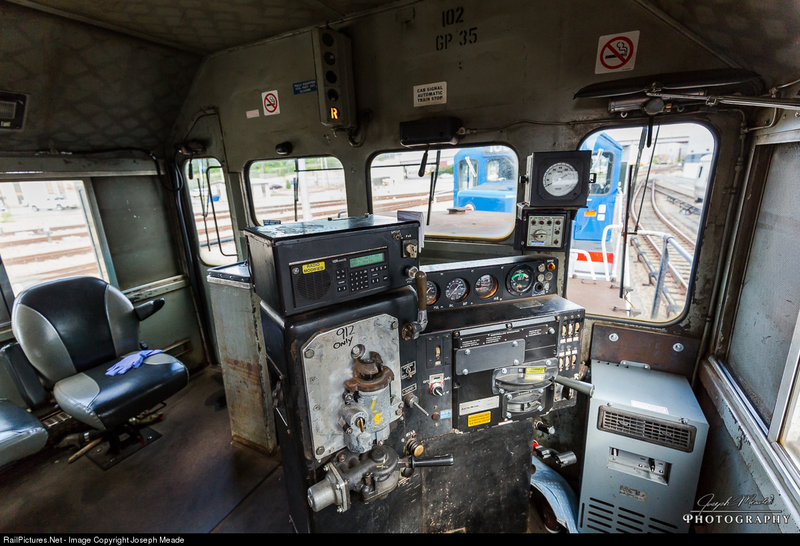 Here we see the cab of the last unrebuilt Metro-North GP35R, #102. Note the old school center mounted, bulb lit cab signal display. It will soon be sterilized in a rebuilding process. 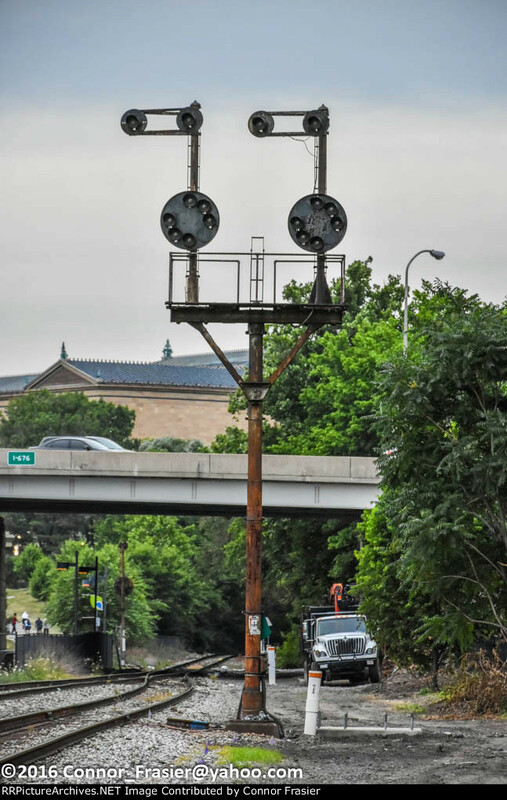 Since 2012, CSX has been slowly re-re-signaling the Philly Sub because it was...different? 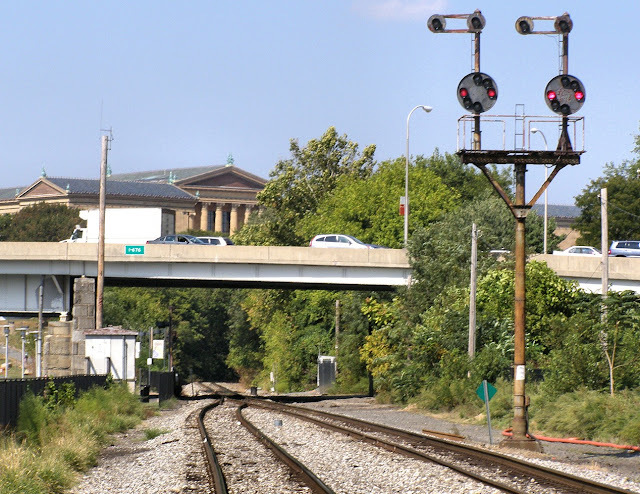 You see much of the line between Baltimore and Philadelphia had already been re-signaled around 2000, replacing the pole line and the logic at more than a few of the interlockings. Starting at the west end, by 2014 the project had reached Wilmington and in 2015 it ploughed through the Darby siding and all the way to the 58TH ST crossover. Well in 2016 it looks like they are tackling the final obstacle, RG tower and the Philadelphia terminal area from the movable bridge through VINE and LOCUST interlockings opposite 30th St Station. 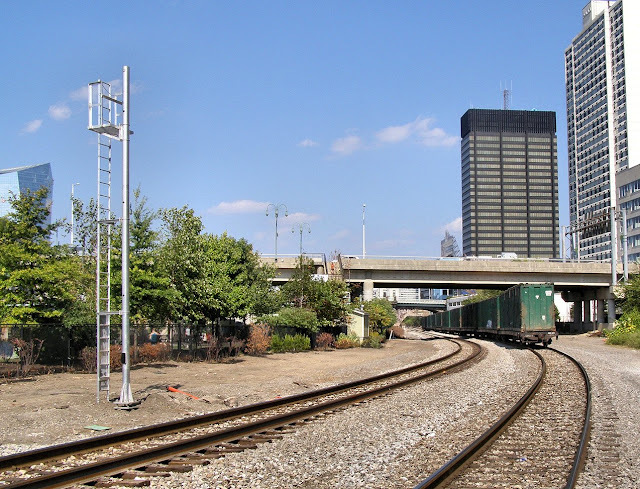 Now I guess we should be thankful for the time we got because back around 2010 I got a bit of a scare as new signal mast footings appeared around both VINE and LOCUST, but fortunately they were for a crossing quiet zone project in conjunction with a river-walk bike path project. Fortunately in 2010 this turned out to be a mast for grade crossing indicators. Because of the scare I actually did a survey run of VINE and LOCUST back in 2010 and later wrote it up for this blog. However that was before I got my super-zoom camera so I might give it another go later on in the year to capture some of the fine detail I might have missed. I know one thing for sure. 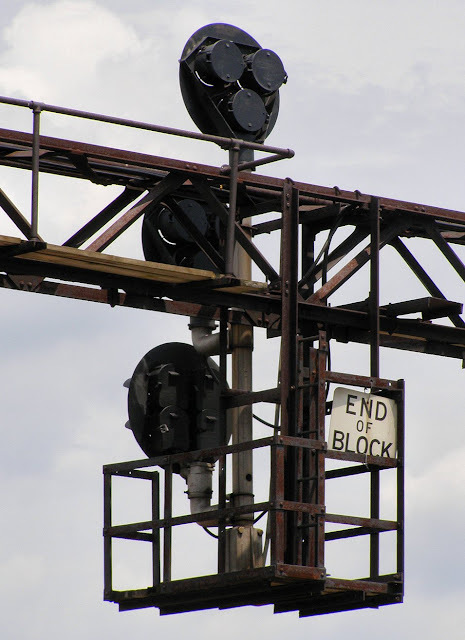 That bracket mast at VINE caught my attention driving across the nearby expressway bridge before I even knew what a B&O CPL was. Without a reference to the orbital system, I had no idea what those wacky lights above the signal were for! Wow, I sure don't get to pose a positive news piece very often. 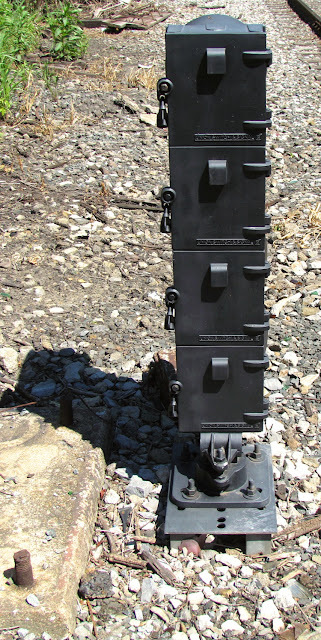 For some time now I have noticed that the Reading and Northern seemed to have been rather wildly bucking the Darth Vader trend and instead opted to purchase vintage signals on the used market. 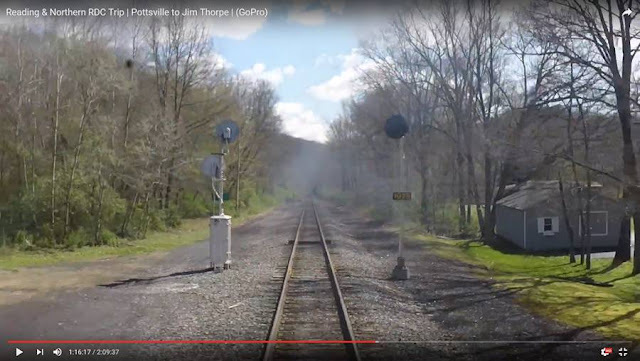 The first of these were searchlights that appeared at a restored Mahanoy Jct interlocking. Next I noticed that they had restored an old LVRR (or CNJ) cantilever at the new CP-COAL interlocking north of Mach Chunk. This was clearly part of a pattern and I just had my suspicions confirmed by one of my followers who spotted some additional R&N vintage signal work on an RDC head end video shot in spring 2016. 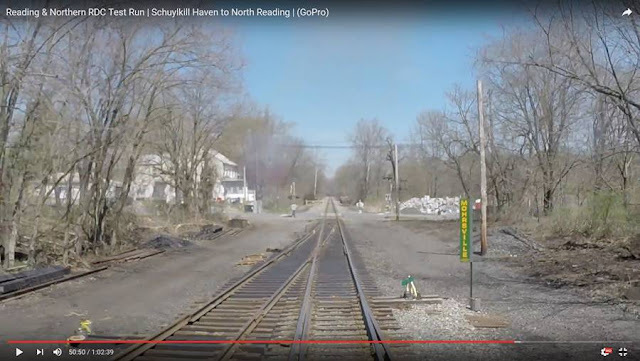 North of Tamaqua, Pa. New Westbound Searchlight ABS located adjacent to the Tuscarora Park Road (Route 1015) Grade Crossing. 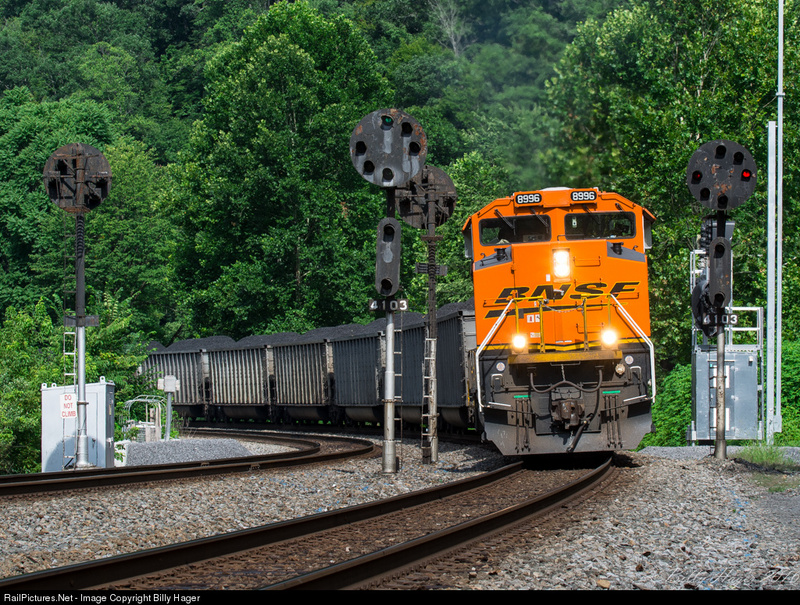 This approach lit signal governs westbound movements thru Tamaqua Tunnel about a mile in rear . Note the 2 opposite side brackets for future signal heads. 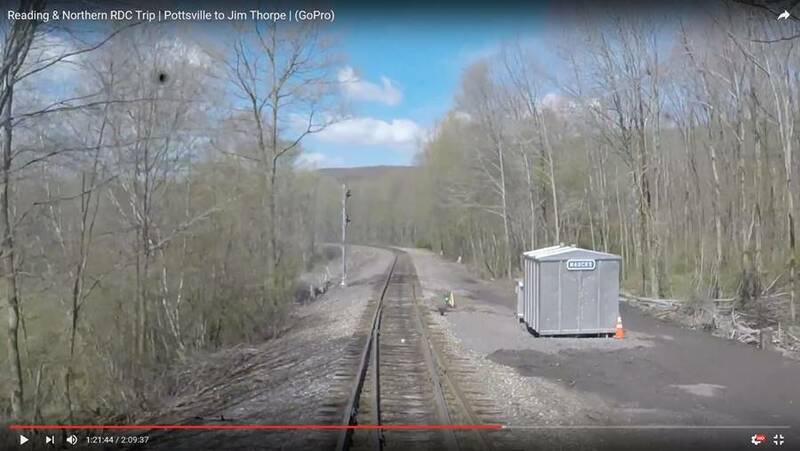 I assume this will grow to include a 2 headed distant for eastbound movements thru to a new Tamaqua controlled siding that is in the works. Sort of odd having ABS territory just sort of start like this, but hey, I'm not complaining. Near the Orchard Road Grade Crossing in Barnesville, PA we see a pair of split ABS searchlight masts standing between the Tamaqua Tunnel and Mahanoy Jct. 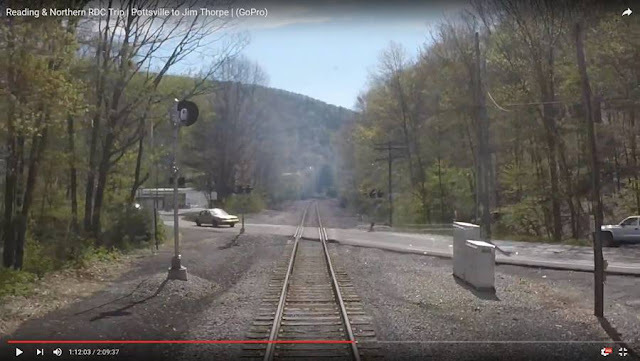 This shows the extent of the current Mahanoy Jct signaling island. Further up the line the old Catawissa branch, the R&N is restoring HAUCKS interlocking. Signals will be of the GRS G-head tri-light variety. 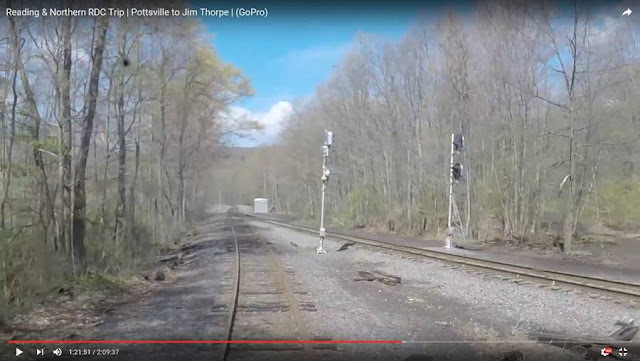 Here you can see the new eastbound distant signal going in near Greenwood Lake along former CNJ trackage close to Lake Drive Underpass. Well that's the news from Reading Country. Thanks to Bill Tarantino for the update!